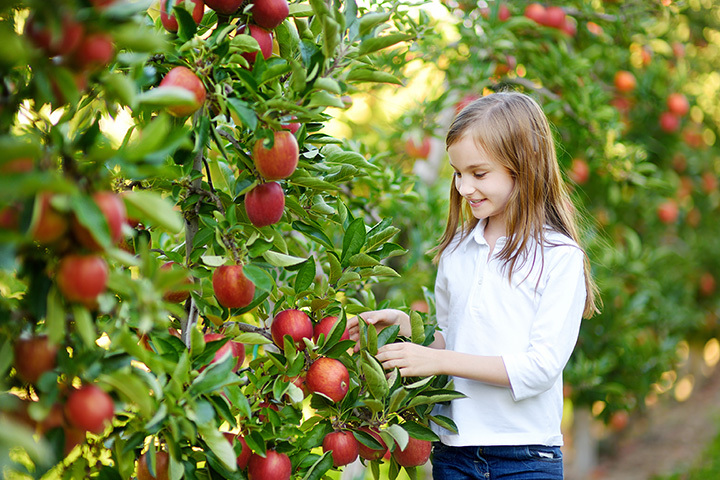 The 4 Best Apple Orchards in Montana! Are you ready to welcome in the fall season? Then it’s time to pay a visit to one of Montana’s local apple orchards. From Bozeman to Big Fork, Montana has first-rate options when it comes to picking up some incredible apples. Whether you’re craving McIntosh or Jersey Mac, be sure to grab a bushel at the best apple orchards in the state. This chemical-free farm grows herbs, garlic, shallots, berries, cherries, pears, apricots, plums, peaches, and of course, apples. Varieties this year include Summerred, Red Baron, Sweet 16, Fireside, Freedom, and more. Rocky Creek Farm offers something you won’t find everywhere: custom cider pressing. You just drop off your apples and they let you know when it’s ready. They also have apple picking available at the farm. Make sure to pick up a bushel this season! Ross Orchards is located in Clarks Fork Valley, which has earned the moniker of the “Fruit Basket of Montana.” With over 300 trees and a variety of apples, you’ll find Jersey Mac, Spartan, Cortland, and more. While this is mainly a cherry orchard, there are plenty of apple varieties available at Getman’s this season! Located in beautiful Big Fork, the apple selection at Getman’s includes Gala, McIntosh, Grayburn, and more.